It was in June 10 years ago that we purchased our property and proceeded to plant the vineyard. As the saying goes "wine is made in the vineyard". This started our adventure and the making of our wine from the vineyard to the glass. 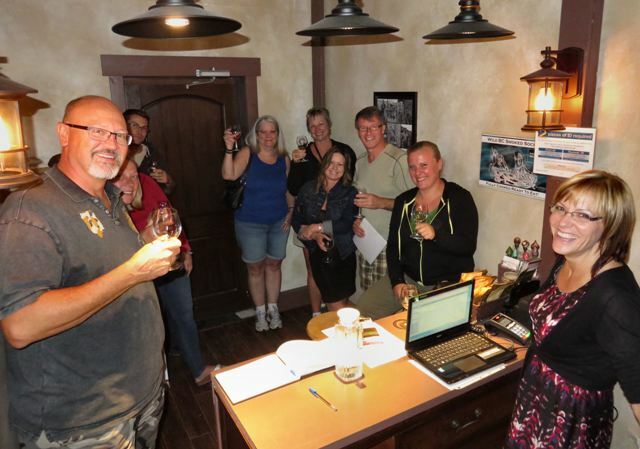 A spontaneous wine tasting party erupts at the tiny tasting room at Sagewood Winery in Kamloops. 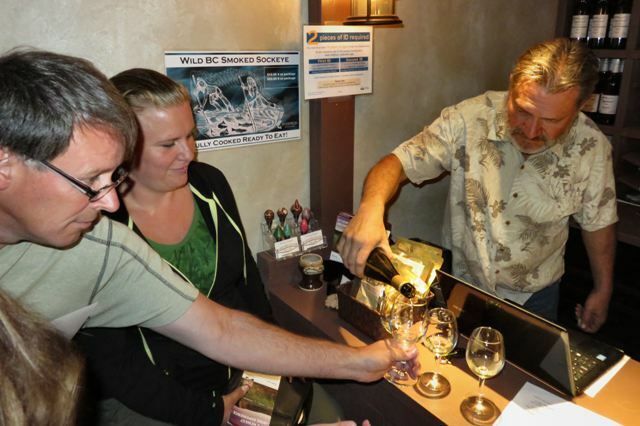 When Shelley and Doug Thompson purchased a plot of land on the South Thompson River it was with wine-making in mind. A doctor by day, Doug spends his spare time making some of the best award-winning wines in the province. 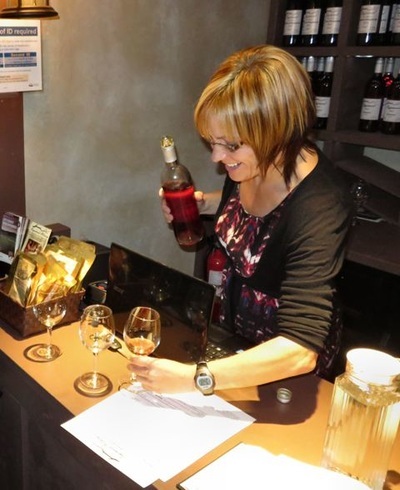 They have recently opened a tiny tasting room that can really draw a crowd. While pouring wine, Shelley entertains the crowds by sharing stories about their family run winery and how their wines got their unique names. They are part of the new Kamloops Wine Trail so be sure to get your stamp! Hours 1pm to 5 pm Saturday and Sunday until June 14. From Thursday June 18 onwards open 1pm to 5 pm Wednesday to Sunday. For more information CLICK HERE to visit their website! 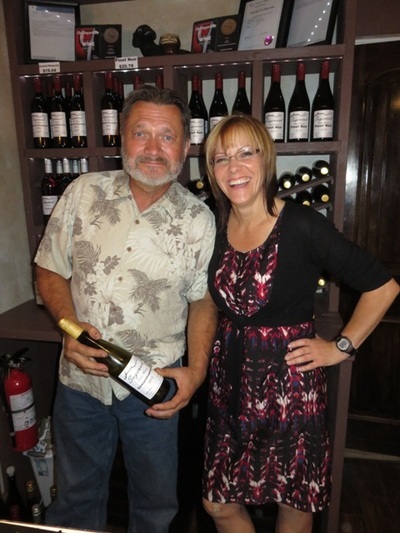 Shelley and Doug Thompson pose for a quick picture while pouring wine for their thirsty visitors.